On Apr. 14, 1986, at 5:13 p.m., U.S. Air Force (USAF) F-111F Aardvarks from the 48th Tactical Fighter Wing (TFW) took off from Royal Air Force (RAF) Lakenheath on the orders of President Ronald Reagan. All but one aircraft returned to base. 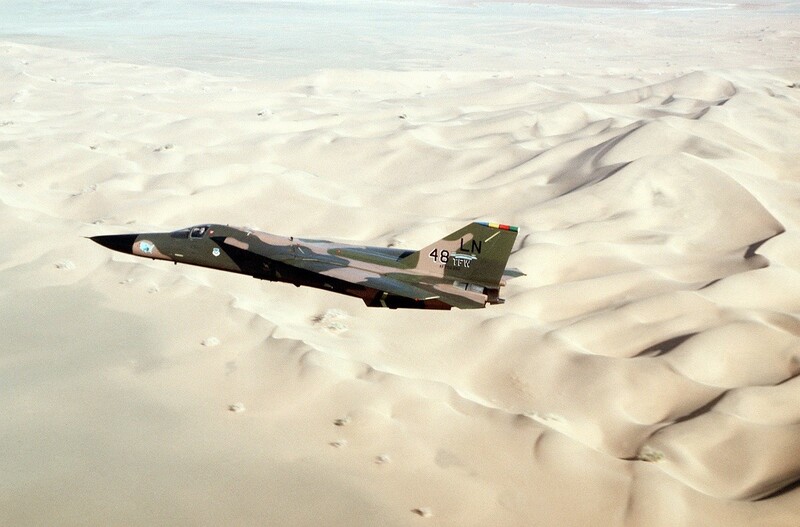 The F-111F 70-2389 (callsign ‘Karma 52’), the sixth aircraft on Bab al-Aziza target, vanished in unexplained circumstances. Crews in several aircraft saw a fireball hit the sea in the harbor area and many surmised that the F-111F had been hit by a missile. `Karma 53′ (F-111F 71-0889), following moments later, saw a flash and fireball just ahead of them, and assumed it was an F-111 being hit by a SAM. They then had to turn sharply to avoid being hit by a SAM themselves. The escape module containing pilot Capt Fernando ‘Nando’ Ribas-Dominicci and his WSO Capt Paul Lorence had not deployed by the time the jet struck the water. One of the tankers waited in vain for ‘Karma 52’, orbiting for an hour before heading home as dawn broke. Searches by P-3 patrol aircraft and a US Navy submarine were called off that evening, and by Apr. 17 it was decided that ‘Karma 52’s’ crew had been killed in action. It is possible that ‘Karma 52’s’ ECM pod failed to protect them. Post-mission checks revealed that many of the AN/ALQ-131 ECM pods mounted under the aircrafts’ rear fuselages for defence against missiles had failed due to the prolonged beating they had received from high-speed airflow during the mission. Indeed, parts fell out of many pods when they were examined later. 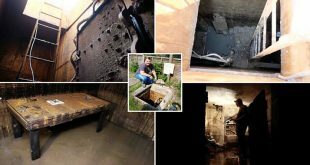 An autopsy after the return of the pilot’s body to the US via the Vatican in 1989 indicated that he had drowned in an unconscious state, although Capt Lorence’s final fate remains unknown — only his helmet was washed ashore. Capt Ribas-Dominicci had been part of Lakenheath’s elite Standardization and Evaluation section, and he had narrowly avoided having to eject from another F-111F the previous year when it suffered an undercarriage malfunction and then burst a main-gear tyre on landing, running off the runway. On 25 December 1988, Gaddafi offered to release the body of Lorence to his family through Pope John Paul II. The body, returned in 1989, was identified as Ribas-Dominicci’s from dental records. An autopsy conducted in Spain confirmed that he had drowned after his plane was shot down over the Gulf of Sidra. 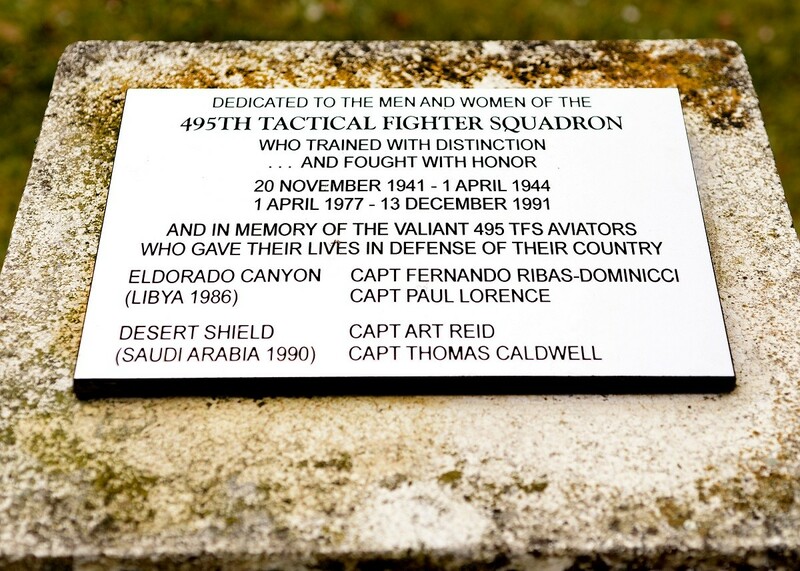 Today across from the 48th Medical Group hospital stands a monument dedicated to the men and women of the 495th Tactical Fighter Squadron (TFS), with Ribas-Dominicci and Lorence’s names inscribed on a plaque in memory of their service and sacrifice. Why were F-111s sent 2,800 miles, round trip, from their bases in England when there were two U.S. aircraft carrier battle groups within minutes of the Libyan targets? A reporter in London was told that the F-111s had to be used because of their all-weather capability. But it appeared that the Navy A-6s, which had attacked directly from the aircraft carriers, had essentially the same capability as the F-111s. This was confirmed by the Department of Defense reports that the results achieved by the Navy aircraft were at least as good as those achieved by the F-111s. Tags F-111 crash F-111 shot down during Operation El Dorado Canyon F-111 shotdown Fernando L. Ribas-Dominicci Karma 52 Karma 52 shotdown Operation El Dorado Canyon Paul F. Lorence the only F-111 lost during Operation El Dorado Canyon The sad story of ‘Karma 52’ WERE F-111S `MISUSED` IN THE RAID ON LIBYA WHY WERE F-111S `MISUSED` IN THE RAID ON LIBYA?